Fill out this form to register your interest today to be the first to hear about the exciting new solutions currently under development by Continent 8. I agree to periodically receiving the details I have specified in the form above. We won’t pass your details on to third parties and you can unsubscribe at any time. With over 20 years of gaming and multi-jurisdictional experience, Continent 8 Technologies is the world’s largest online gaming data center and global network solutions provider. We provide global hosting, connectivity, and security in highly regulated geographic locations through world-class DDOS detection and mitigation, and “regulation-aware” cloud managed services. 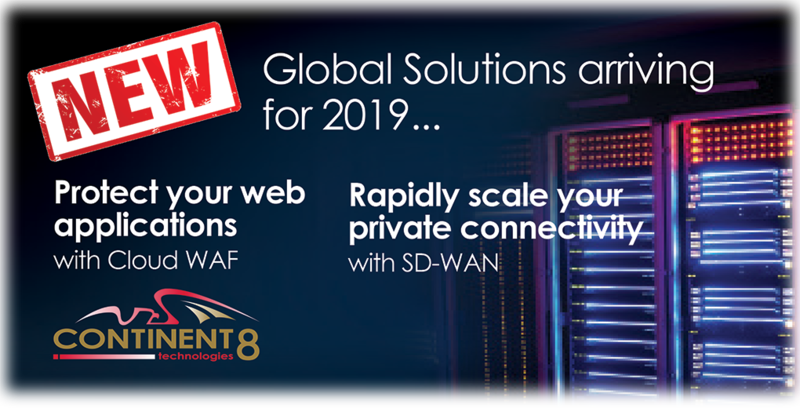 Continent 8 keeps gaming operators’ applications online and secure via a private network of over 40 connected locations across three continents. Our global footprint is expanding rapidly in the United States, with new multi-state locations in New Jersey, Mississippi, Nevada, Pennsylvania, and West Virginia – and additional states coming soon. This increased capacity gives gaming companies the ability to take advantage of incredible growth opportunities unfolding this year across the globe in online gaming, sports betting, and eSports.